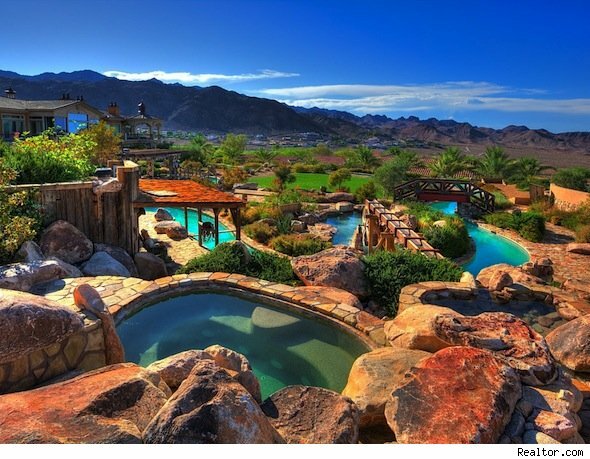 An oasis in the desert city of Boulder City, Nev., this foreclosed property has the best outdoor feature we've ever seen: its own water park. A lazy river, a 20-foot diving pool and a waterslide are just a few of the awesomely fun things that you can find in the backyard of this home. But if you don't want to get your hair wet, don't worry. 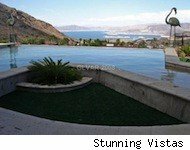 You can still have a blast on the home's tennis court and two putting greens. 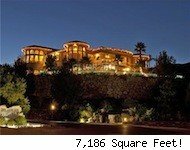 Oh, and let's not forget the mansion itself: It's 9,245 square feet with six bedrooms, seven bathrooms, two family rooms and large living areas. According to the listing, the property features "Disneyesque" finishes and strong attention to detail. Follow us on Twitter at @AOLRealEstate, or connect with AOL Real Estate on Facebookand Pinterest.